Hello Captains!! I create this post to present Pirates Army Youtube Channel in which you will find World of Warships videos and content related. I have been playing for two years and the Channel is not new, but I have been reading you and posting in the Spanish Community as Spanish CC. More than 200 videos with Gameplays in which I show how I play with all kind of ships, Streams for new ships (Premium or Tech Tree) and Events/Contest in which we let players get some kind of prizes, from Premium Accounts, Slots or Premium Ships for example. I try to do with the max quality I can to offer you the best experience, playing in 4K and recording in WQHD/2k/1440p Let me show any of the last videos, I hope you enjoy and thanks for your time. 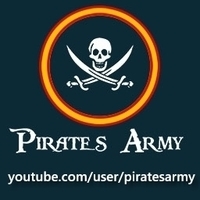 Youtube Channel Link - Pirates Army Youtube Channel Good Luck, Fair Winds and Following Seas Captains , I am sure we will see if still didn't. Stecht mit dem Wargaming Community-Team in See! Schließt euch dem Community-Team von Wargaming an, wenn unsere #Shipmas-Feierlichkeiten beginnen und wir auf Gefechtsstation gehen und Segel setzen! Schaltet ein, um an der Preisverleihung um den ultimativen speziell angefertigten World of Warships Gaming-PC teilzunehmen und die Chance auf Neujahrskarten signiert vom Community-Team von Wargaming, Bonuscodes, Gutscheine vom Wargaming Store und andere digitale Geschenke zu erhalten. Einer unserer Illustratoren schaltet sich ebenfalls in den Stream ein, um etwas Besonderes zu entwerfen! Prenez le large avec l'équipe communautaire francophone de Wargaming ! Stecht mit dem Wargaming Community-Team und TeamKrado in See! Sichert euch einen der tollen Preise und die Chance auf den ultimativen WoWs-PC! We're ringing in the new year the only way we know how - by storming it up out on the open seas! Join us as we celebrate a new year and look ahead to 2018! Where? On our Twitch channel! Join the Wargaming Europe Community team as our #Shipmas celebrations begin, and we take action stations and set sail! Tune in to enter into our prize draw for the ultimate custom World of Warships gaming PC, as well as the chance to win New Year cards signed by the Wargaming Community team, bonus codes, vouchers for the Wargaming Store, and other digital goodies. One of our illustrators will also be joining in on the stream to design something special! Where? On our Twitch channel! Prepare to be entertained - the Wargaming Community team is rocking their ugly sweaters to celebrate #Shipmas! Join the party and show us your wackiest, craziest #UglyShipmasSweater and you could be featured during our stream. Glory and ugliness go hand-in-hand! where? On our Twitch channel! 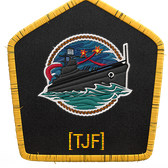 Take to the seas with the Wargaming Community team! Where? On our Twitch channel! Hello all, So i was wondering if the WoWs streams on Twitch occur randomly or are they at fixed times on certain days ? I enjoy watching them so knowing this could help me not to miss out on them :D Thanks in advance. #SiLeNt. [PL] Wypływamy na głębokie wody z voulezvous i Lumberjackiem! Ruszajmy na głębokie wody wspólnie z zespołem ds. społeczności! Ruszajmy na głębokie wody wspólnie z producentami World of Warships! 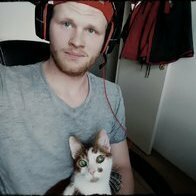 Euer Community Manager Crysantos lädt euch zu einem festlichen Stream auf unserem World of Warships Kanal ein! Macht gemeinsam mit ihm die hohe See unsicher und sichert euch einen der tollen Preise! So here it is, merry #Shipmas! Join the Wargaming Community team for festive fun aplenty - and if you're good, you might even get a gift! Where? On our Twitch channel!